12mm hard plate protecting lockwork. Guardall is really Australia’s very own first-rate safe producer. We style and design our own products and we get them fabricated within the most stringent level of quality controls. Guardall has a safe for every role; homes, businesses to banks; all to safe-keep your belongings from burglary and / or fire. Surf this online site in order to find the safe which you believe suits your current needs, and phone us now for the particular Guardall remedy. Phone 1300 1 SAFES (1300172337) to get connected to the nearest Guardall Recommended Distributor. 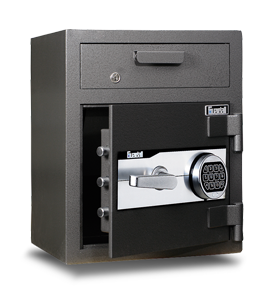 Choosing a safe for ones home or office is a great way to safeguard ones own belongings. There are numerous solutions offered and the most suitable choice depends on exactly what an individual will need to secure, the risk and also the amount of safety you’ll need. In the event that theft is a concern, opt for a product that might be moored securely to your home or office for the right security. In the event that fire protection will be your priority look at the fire resistance score. Regarding storage devices such as data cassettes and discs, select a media safe utilizing dry fill structure which does not generate water steam. Setting up a safe in your house or perhaps business premises may have benefits in lowering insurance costs. Consult your insurance firm to find out if the new safe or vault will qualify you for reductions. Regardless of what product you end up picking, consider the options carefully and then make the best choice to defend your valuable items. Or possibly quicker, contact us and we shall help to guide your choice making procedure. The sole point in time you will need that protection you will know it was time well spent.